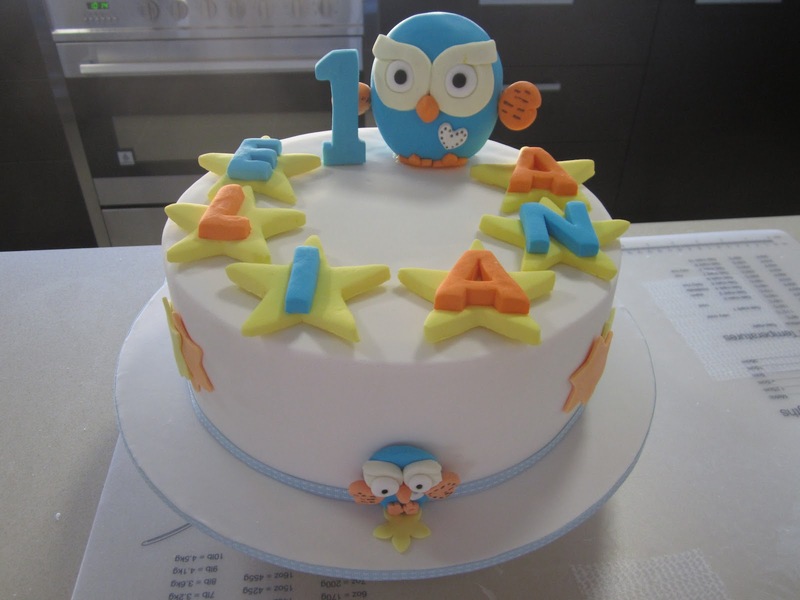 Last week, I was approached by a friend to make a single-tiered fondant cake for her daughter’s upcoming 1st birthday. 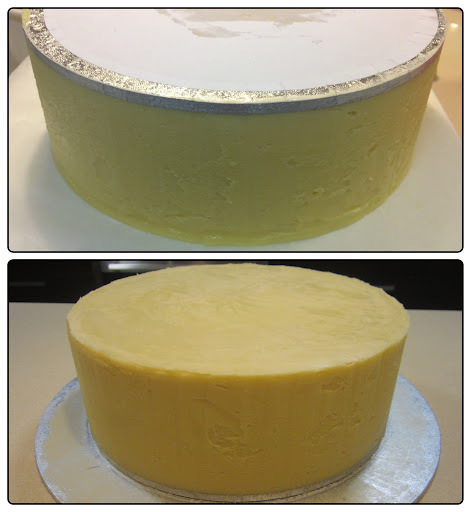 The brief given was to make a 1 tier cake, covered with fondant. The cake had to be at least 9 inches to fit the toppers provided. As this was my first cake ‘job’, I was very excited and wanted it to be perfect. I started writing down the order of work and shared the workload with my helpers (a.k.a. my husband and my cake buddy). 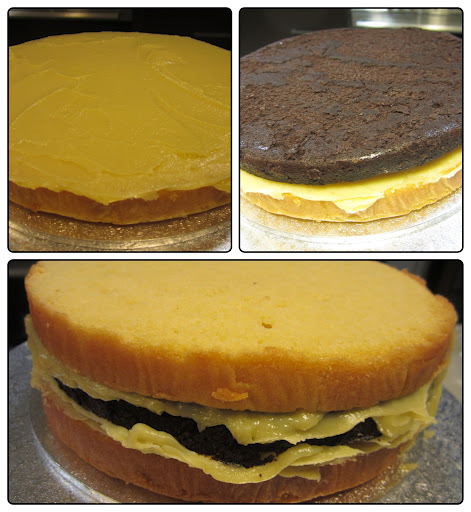 I created a 3-layered cake alternating between butter cake and chocolate cake. I used the 5-star Buttercake recipe from my recent cake class and the chocolate cake recipe from inspiredbymichelle. The cakes were sliced into half and layered with white chocolate ganache. Then, the whole cake is ganached using the upside down method taught by Eleanor Heaphy. 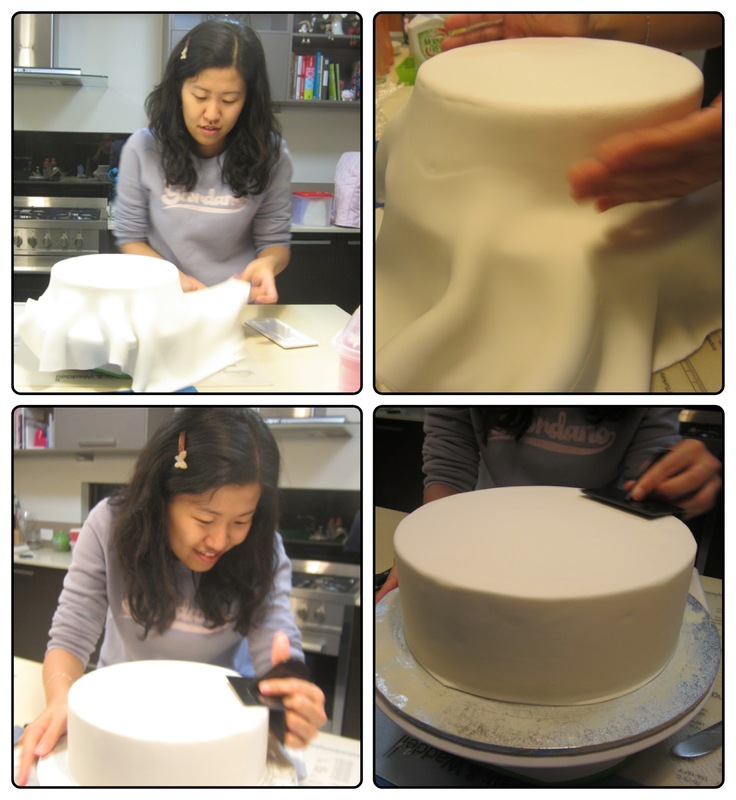 Next, with the help of my cake buddy, Ingrid, we kneaded, rolled, laid and smoothen the fondant on the cake. Finally, we got to do the fun part which was to put the toppers on. This is what the end result looked like. Hope you had a wonderful and blessed first birthday Eliana!